With the terrible news of the tragic loss of Burry Stander in a road accident while he was on the bike, South Africa and the world mourns for him. He was someone who we all looked up to and respected and who carried our hopes in the big arena of mountain biking and more. He was a true inspiration and legend for South Africans. Everyone is fired up, angry, trying to come to terms with it all. Wanting to do something to make a difference....calling for changes in the law, making new rules, building bike lanes, protesting. But the sad reality is that it probably will not change or fix anything in the bigger scheme. It can't bring Burry back... The road is a dangerous place, and we all know that and accept the risks when we go out on the bike, in our vehicles, or just walk across the road. There are a ton of rules, which some follow and some don't. But trying to make new laws to protect cyclists will not really change everything, as with the rules we have already, how many obey those anyway? And if they break them then what really happens to them? Ask those questions and what answers do you get? 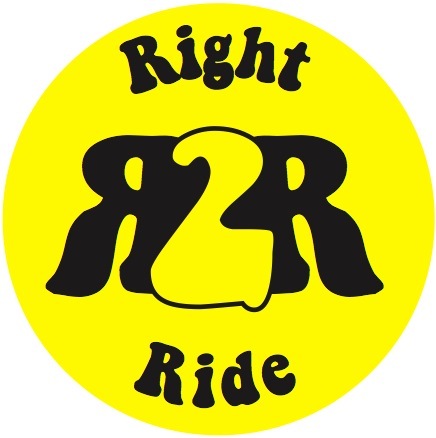 A while back we tried to get something going called the Right 2 Ride. Essentially trying to reach cyclists first with the thoughts of a change of attitude. By playing with ideas of a few rules to follow, common sense really, we thought we could slowly change the ideas people had of their conduct while on the roads. Who was really prepared to change their attitudes? Now we are mourning another loss of someone who as touched us all in some way. And only once it has happened, do we realize just how much we were touched by his character. Burry hasn't been the first, and may not be the last. But what can we all do to change anything? I ask you that question? My only real answer is ATTITUDE. Every one needs to have a better attitude on the roads , and by that I mean everyone. Cyclists, motorists, taxi drivers, bus drivers, truck drivers, everyone. But how do you reach out to everyone and so that they truly understand and are willing to make a change? Follow the basic laws that are already in place, respect the other road users, and watch out for the more vulnerable... Just be sensible. This message needs to be sent as widely as possible, to as many people possible, as only in reflection of how you behave and what you can do to help change, can possible change slowly take place for the better. Perhaps taking one step closer to preventing the next tragedy. ATTITUDES must change, and with this fresh in our minds, and the loss of one of our brightest stars. 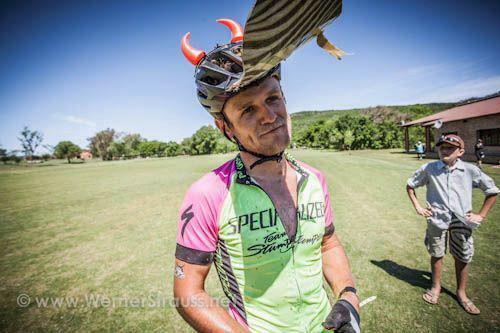 Adding to the losses of others who have touched us like Ian Emery, Carla Swart, Adam Reyneke, Reinhardt du Plessis (an ex team mate of mine minding his own business in his vehicle, and taken out) just to mention a few, as there are so many others that I can't name all. How will you take the first step to make a change? Think about it. Let us grieve for Burry, feel for his wife, his family. Pray for them, and also remember all of the others. Kids that were knocked down in the drag racing episode in Soweto. All of these losses are tragic and similar. They took place on our roads, involving those on or close to the roads. Spread this message as far as you can! Make a change in your attitude and compel those around you to do the same. Remember those that were lost. And respect the dangers of the road, in what ever sort of vehicle you may be using. YOU have the chance to take the first step to change! Our thoughts are most freshly with Burry for his family, but also with the others that we may have known and lost. Memories of them will live forever. Where ever you are, and what ever you do in Memory of Burry. think about how you can start to make a small difference to start the change.